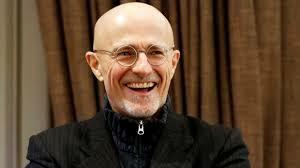 Italian neurosurgeon Sergio Canavero will undertake the first human head transplant later this year in China, the doctor told German magazine Ooom in an article published Thursday. And, following that effort, he will revive a cryogenically frozen brain and transplant it into a donor body within the next three years. The plans, completely disconnected from reality and the state of modern medicine, are at least in line with his previous outlandish goals and dubious animal research. Canavero made headlines in the past few years by claiming that transplanting the whole head of a human onto a donor body is currently possible. A Russian man( Valery Spiridonov) , suffering from a spinal muscular atrophy malady called Werdnig-Hoffmann Disease, even publicly volunteered for the procedure. As proof that the transplant could work, Canavero published gruesome experiments in 2016, said to have repaired the severely injured spinal cords of mice, rats, and a dog. The experiments came complete with cringe-worthy video of recovering animals struggling to drag their limp bodies around. Yet, the study lacked controls, detailed methods, and data on the injuries and recoveries. Canavero claimed to perform a head transplant on a monkey but did not publish the experiment. Experts decidedly consider his research on spinal cord repair, let alone whole head transplants, unconvincing. A medical ethicist dubbed Canavero “out of his mind” for sweeping past the currently insurmountable challenges of such feats. These include intricately repairing and reattaching thousands of delicate nerves and restoring function. Right now, doctors can’t even convince the immune system to accept far simpler transplants consistently. There’s also the completely unknown effects of such a transplant on the powerful human psyche. Canavero is carrying on, undeterred it seems. In his Ooom interview, he not only glided through the idea of successfully transplanting a head, he made an even more absurd claim: that he would revive a cryogenically frozen brain and transplant it into a donor body. Canavero said he would obtain a preserved brain from Alcor Life Extension Foundation, a cryonics company located in Scottsdale, Arizona, according to Gizmodo. There is currently no way to revive and molecularly repair a frozen human brain. And such transplants haven’t even been attempted in animals. Thus, the surgical procedure is decades if not centuries away. As Gizmodo also reports, Alcor said that Canavera hadn’t even contacted the company. It distanced itself from the doctor, as did other cryonics leaders, and noted that his efforts are not realistic or even a shared goal. The Alcor Life Extension has had no contact with Dr. Canavero. It is not yet possible to revive human brains cryopreserved with present methods. Revival of today’s cryonics patients will require future repair by highly advanced future technology, such as molecular nanotechnology. Technology that is advanced enough to repair a cryopreserved brain would by its nature also be able to regrow new tissues, organs, and a healthy body for the revived person. Therefore Alcor does not expect body donations or transplants to ever be necessary for revival of cryonics patients. Until advanced tissue regeneration technology is developed, we wish Dr. Canavero well in his development of body transplant surgery for living patients today who might benefit.